The Romanza February Gathering will be held on Tuesday, February 12, 2019 at the BOG Brewing Company. You are invited to join us! Owners Steve and Stacy Mendoza will be the hosts with a cash bar available for your favorite brew. Bakersville Bread Company will provide complimentary hors d’oeuvres. Romanza Gatherings are a networking event that is open to ALL individuals and cultural organizations, members and non-members alike. It’s a unique and comfortable opportunity for the creative community to socialize, communicate and share ideas and information. 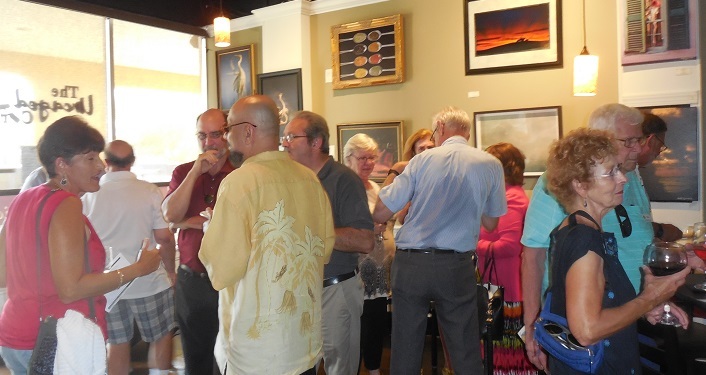 You’ll meet fascinating people from St. Augustine’s Arts, Culture, Heritage, Attractions and Business organizations. Members are cordially invited to bring a friend. Members are also encouraged to use this Gathering to announce their upcoming event. Bring your flyers and information and share your information with all the other arts organizations. Free parking is onsite. Click on the event website link for additional information. Image used is from Romanza’s website.